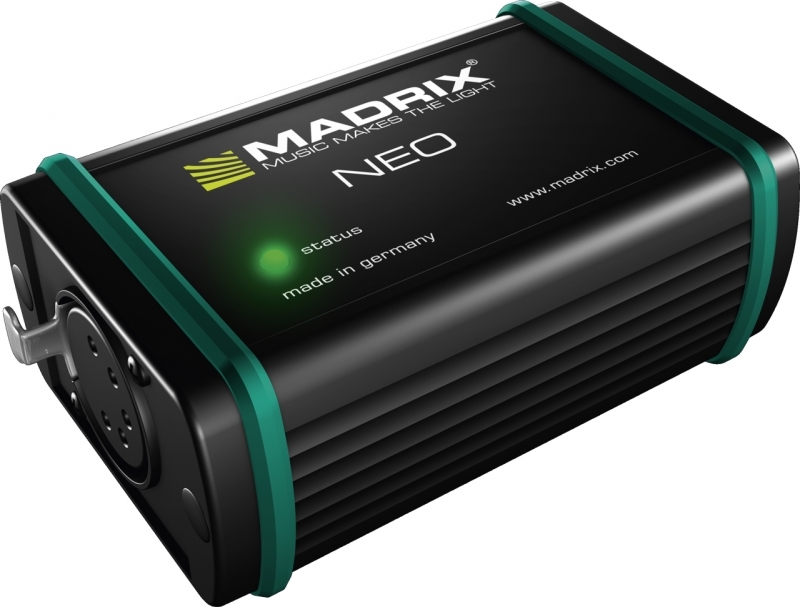 The MADRIX NEO is a compact, rugged, and easy-to-use USB hardware interface for DMX512. The interface is available including the MADRIX software to intuitively control your LEDs. The software license for 512 DMX channels output is automatically included. 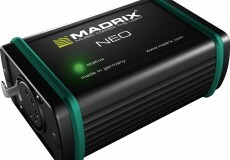 The NEO can be used as 1x DMX-OUT or 1x DMX-IN. You can simply use several devices to increase the number of available DMX lines and DMX channels. The NEO is a high-quality interface made in Germany. It features a precise enclosure out of solid but lightweight metal. It has a an eye-catching design but is extremely robust and suited for the demanding use on stages, for mobile DJ setups, and much more.